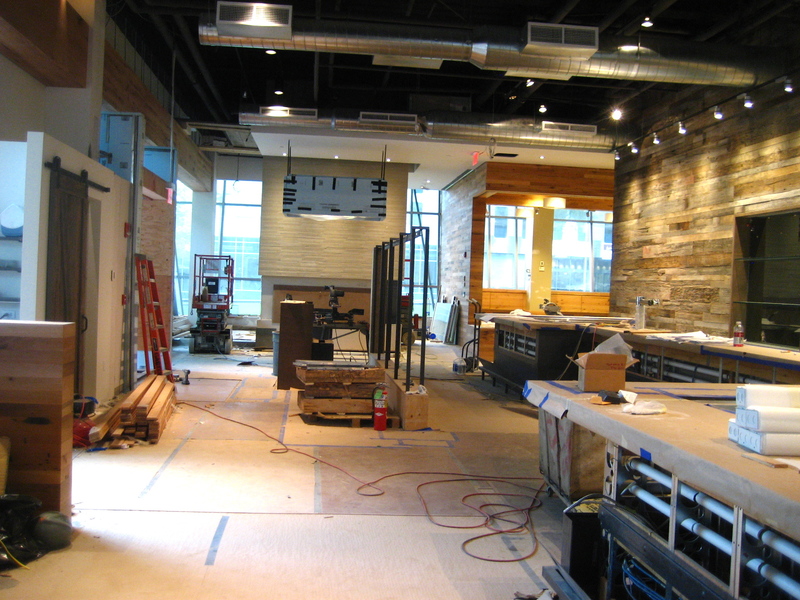 On Monday afternoon I met up with William Kovel, chef of the soon-to-be-opened Catalyst restaurant in Kendall Square, for a sneak peak at the space. I learned of Catalyst for the first time back in April when Chef Kovel presented a tasting of seared yellowtail with pickled vegetables at the Cooking for a Cause event. Catalyst’s address is 300 Technology Square, just steps from Kendall Square and next door to one of my favorite recently-opened restaurants. Chef Kovel hails from Aujourd’hui in the Four Seasons, which shut its doors in 2009. Catalyst’s name came from his experience getting laid off as it was the catalyst to finally start on his own restaurant, which has now been two years in the making. The space that Catalyst occupies is quite enormous. Upon entering you are greeted by a bar that spans almost the entire width of the restaurant. 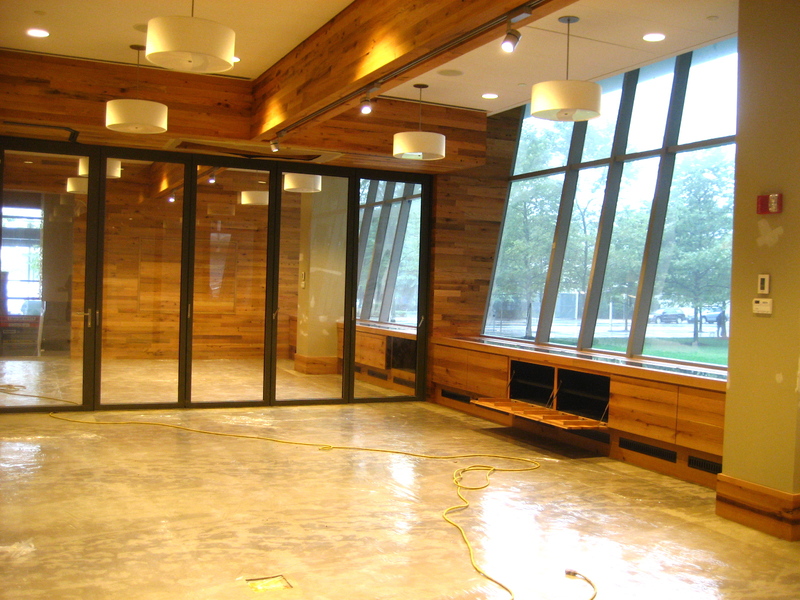 Reclaimed barn wood adorns the walls, and windows all around the perimeter provide ample natural light. The bar will seat 26. Additionally, there are two main dining areas as well as a lounge with a fireplace, patio seating out front for the warmer months, and a private events room. 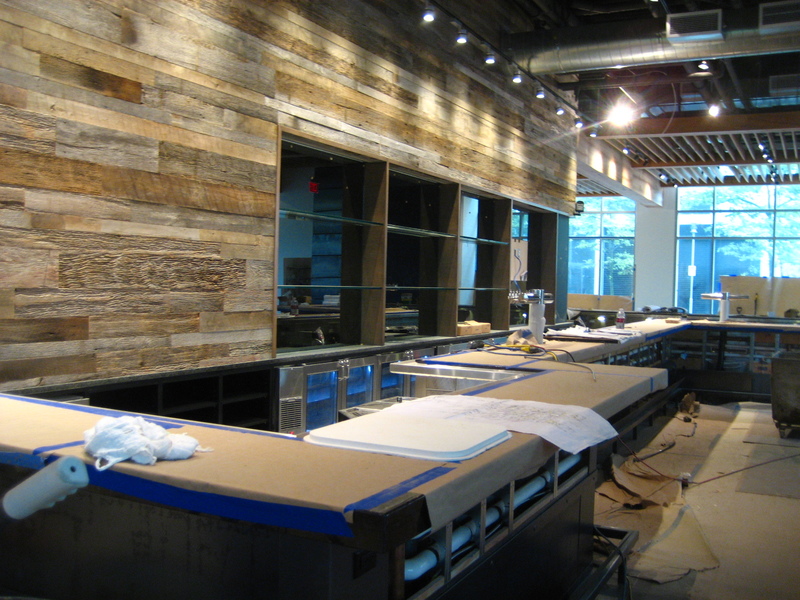 The food will be modern American with lunch, dinner and bar menus. Menu highlights include a selection of fresh and filled pastas every night, and rotisserie meats made on Catalyst’s own rotating spit, including chicken, lamb and mutton. 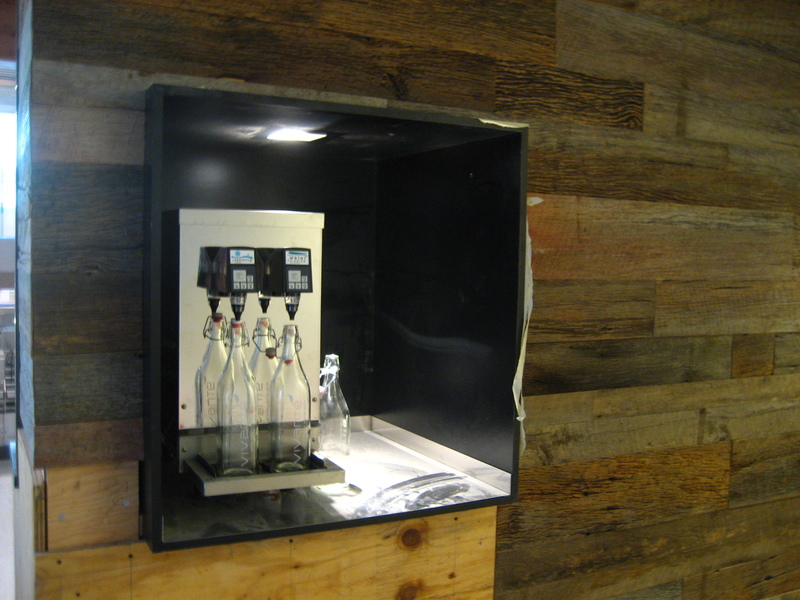 The kitchen at Catalyst boasts an ice cream machine and there will be a daily homemade ice cream each night. You can view the full menu which is already up on the website. Chef Kovel is aiming to source as many of his ingredients as possible from nearby farmers and producers. Some vendors already lined up include Eva’s Garden in Dartmouth, MA, Siena Farms, dairy from High Lawn Farm, and meat from Round the Bend Farm. Chef Kovel’s team includes General Manager Vincent Putiri, who worked with Chef Kovel at Aujourd’hui, and Chef de Cuisine Anthony Mazzotta. They are aiming for an August 30th opening. Read more about the restaurant, including menus and information about private events here. This entry was posted in Boston and tagged Boston, restaurants. Bookmark the permalink. Thanks for sharing! Living around the corner, I am always excited for new restaurants to open in Kendall. It’s definitely starting to feel like a real neighborhood! The menu looks amazing. I have been waiting for Catalyst to open! I can’t wait to check it out when it does. This space looks gorgeous! So much light! I can’t wait to check it out! What an amazing space. I’ve been excited about the opening since Cooking for a Cause as well – they can’t open soon enough! Nice! I have been reading a lot about this, can’t wait to try it! Oooh love sneak peaks…. this place looks like it’s going to be great! Catalyst looks gorgeous, what a stunning interior. can’t wait to check it out!